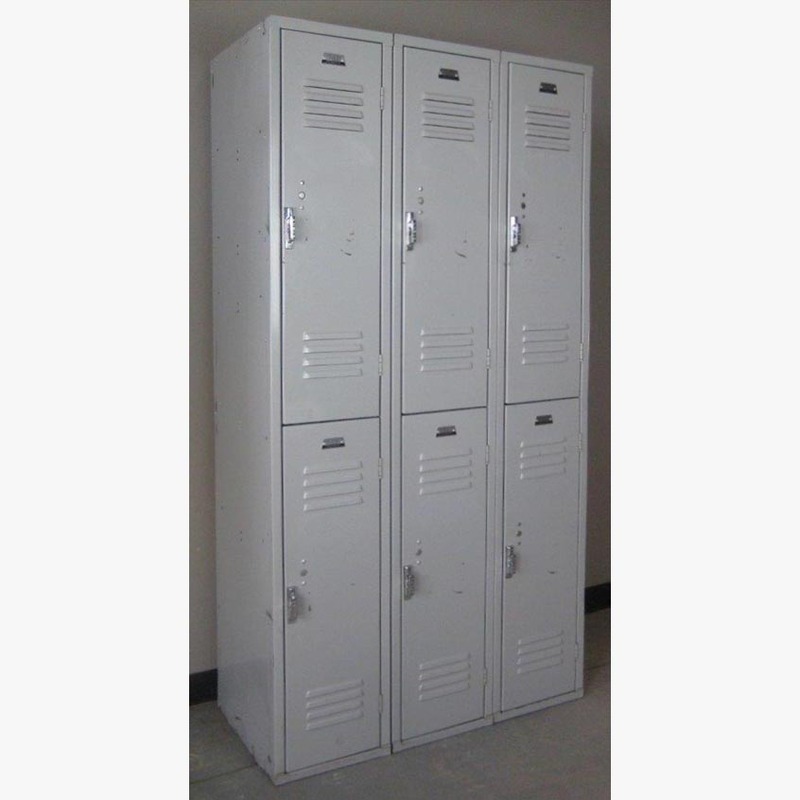 These Double Tier Gray colored School Lockers are available on www.buyusedlockers.com where they have a huge selection to choose from if we need additional supplies. 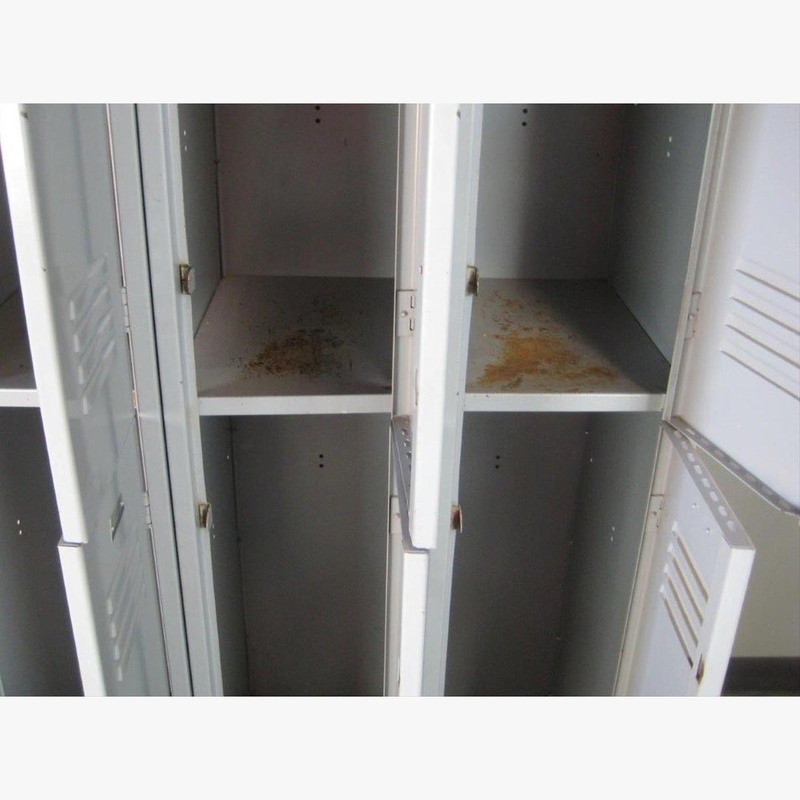 These used Double Tier School Lockers have a small amount of surface rust, but they are still 100% functional and will still last many years. 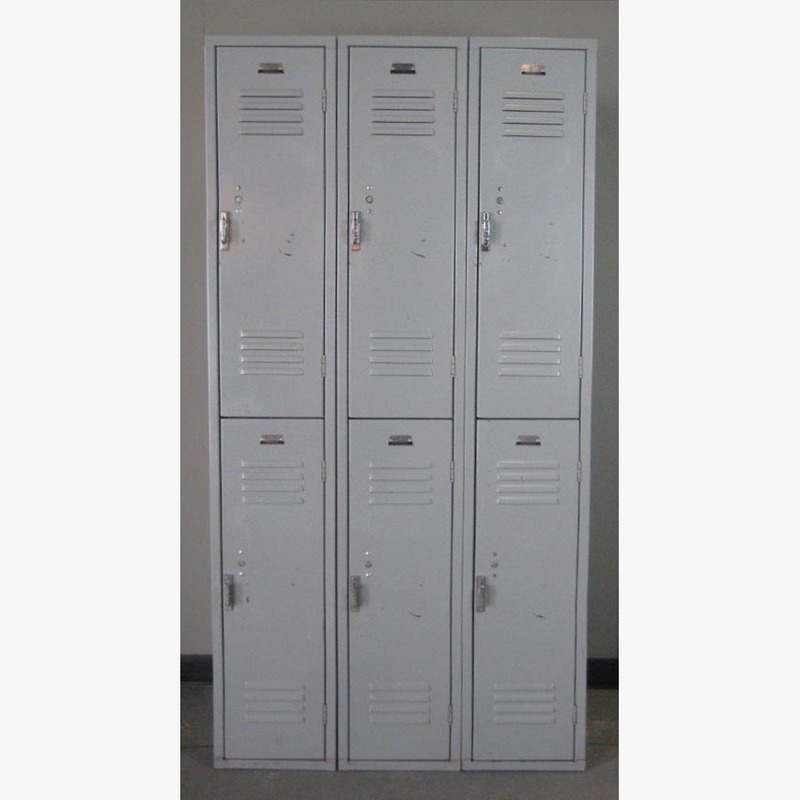 Each compartment is 12" wide x 18" deep x 36" high so they will hold a lot of items. 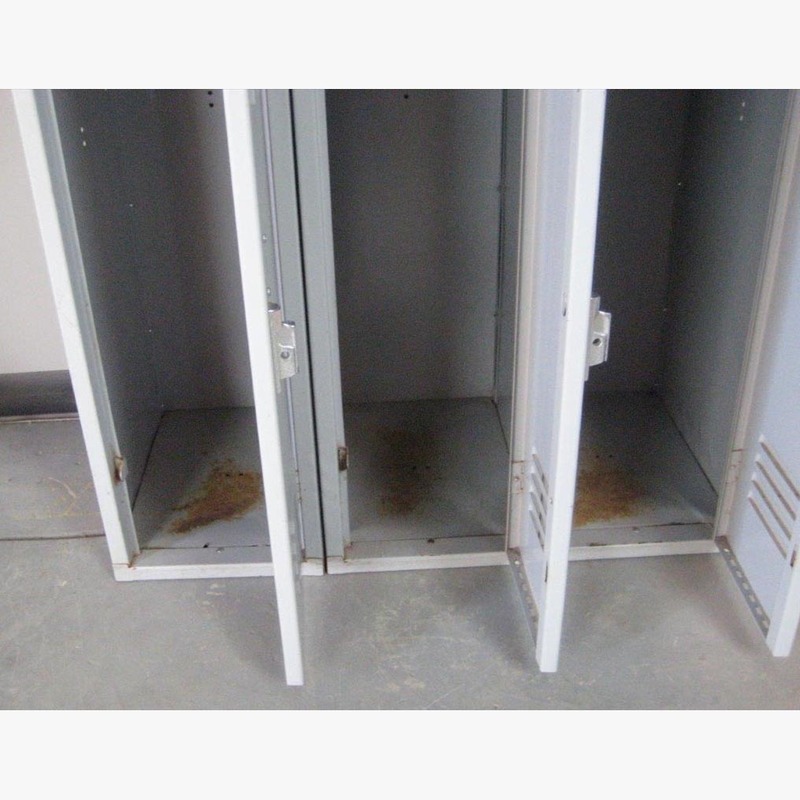 As with all of our used lockers, these have been inspected and refurbished and work as well as new lockers.